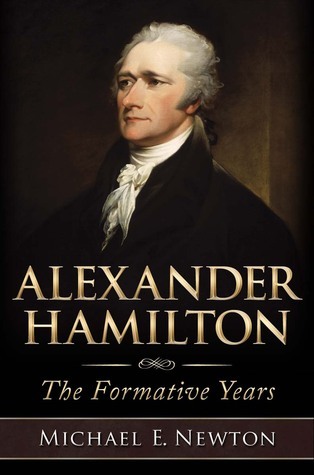 Enter to win a free autographed copy of Alexander Hamilton: The Formative Years on Goodreads. Giveaway ends June 14, 2015. I wanted to remind you, those who have been reading this blog for so many years and also the more recent readers, that you only have five days left to support the publication of Alexander Hamilton: The Formative Years and to pre-order your copy of the book. Pledge $40 (the book’s cover price) and you’ll receive a signed and personally dedicated copy. Where else would you be able to get a signed copy? Yes, you could come hear me talk about Alexander Hamilton: The Formative Years at the Museum of American Finance on July 10 but if you can’t, ordering your copy on Kickstarter is your best opportunity. Once this Kickstarter campaign is over, I have no plans to sell signed copies online. So unless you plan to hear me speak in New York City, this might be your best or only chance to get a signed and personally dedicated copy of Alexander Hamilton: The Formative Years. Unsigned copies are also available for pre-order on Kickstarter for just $30, a 25% discount. There are also volume discounts available if you order through Kickstarter, which won’t be available if you wait until the book is published and buy it through Amazon. Oh yes, and all of these options include FREE SHIPPING. I would also like to note that the Kickstarter campaign is current $2,400 short of its goal. Kickstarter requires a project to raise its entire amount or the project received no funds and the pledgers do not receive their rewards. As the success of this campaign will go a long way to make Alexander Hamilton: The Formative Years successful, I strongly urge you to show your support by pre-ordering your copy and by sharing this Kickstarter project with friends and on your social media. 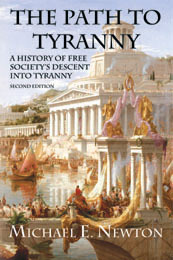 You can point your friends to the many great reviews this book has already received. You can also direct them to the many new discoveries I have posted online, which are only a small portion of what will be found in the book itself. Heck, you can even show them what I believe to be the best cover design for any Alexander Hamilton book. And remember to tell them that they are not just contributing to this important project, but that they will also receive a copy of the book at 25% off the cover price or a signed copy at the cover price, with free shipping as well. With your help, we can propel this campaign to its $9,000 goal and give Alexander Hamilton: The Formative Years the boost it needs to gain mainstream attention and receive the recognition it deserves as a work that “surpass[es] every book that has preceded it” (Rand Scholet’s review). ~ Douglas Hamilton, Alexander Hamilton’s fifth great grandson. On June 21, 1776, an American force with some light artillery attacked the Sandy Hook lighthouse in New Jersey, seventeen miles south of New York City. 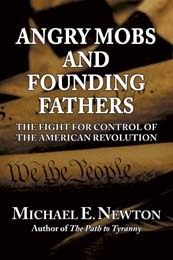 According to biographer Ron Chernow, “Hamilton gallantly led a nighttime attack of one hundred men against the Sandy Hook lighthouse outside New York harbor” and then reported the news to The Royal Danish American Gazette, which printed the account in its issue of August 14, 1776. However, the same report had already appeared in The New-York Gazette; and the Weekly Mercury on June 24, 1776. As The Royal Danish American Gazette printed this account alongside a number of extracts and reports from around the world, it is clear that the St. Croix newspaper simply copied this out of the New York paper. Furthermore, it is known with certainty that Hamilton did not lead the attack. According to contemporary sources, the mission was led by Lieutenant Colonel Benjamin Tupper* with Major John Brooks assisting and Captain Jotham Drury in command of the two pieces of artillery. None of these sources mention anything that would suggest Hamilton’s involvement. No one prior to Chernow—not Mulligan, Troup, Fish, John C. Hamilton, no one—ever mentioned Hamilton’s participation. The evidence is clear that Hamilton neither participated in the strike on the lighthouse nor wrote about it afterwards, and he most certainly did not lead the attack. * A year earlier, Benjamin Tupper led a similar raid against a Boston lighthouse. Supporting evidence and citations will be found in the endnotes of Alexander Hamilton: The Formative Years. Please support the publication of this “must have” work by pre-ordering your copy today.